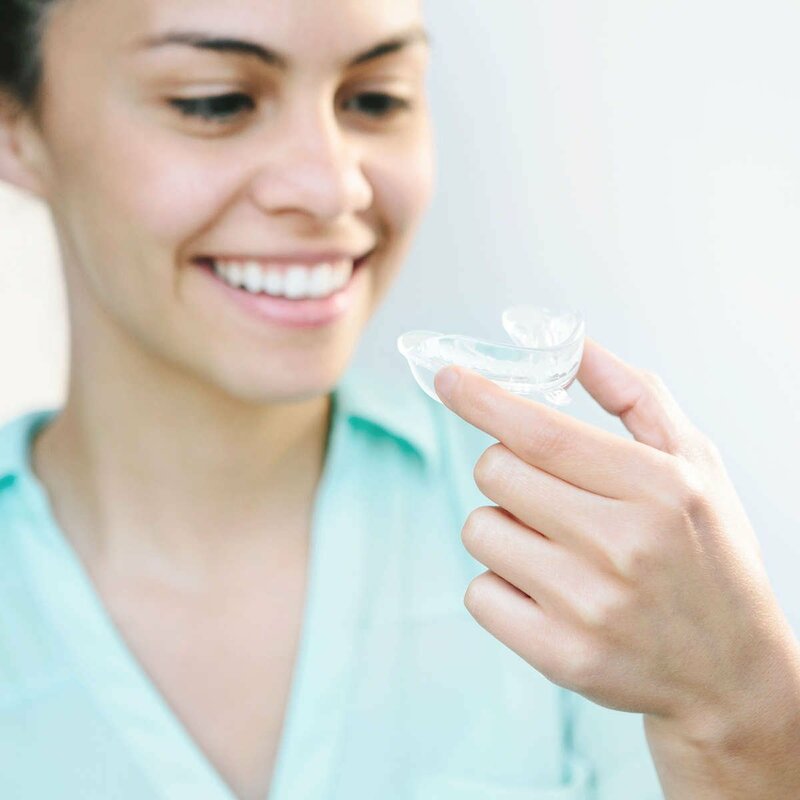 Say goodbye to stains and hello to sparkle with Halo White, our clinically tested active teeth whitening system that can whiten teeth by up to 10 shades. *Based on clinical efficacy testing performed by the University of Alabama School of Dentistry. 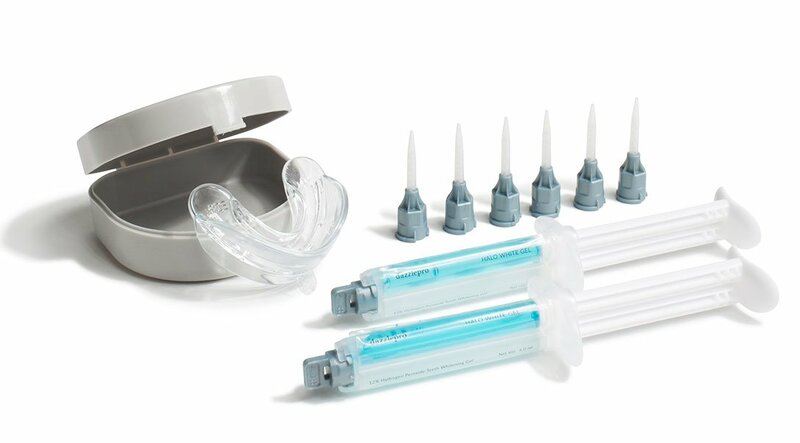 Go from stained to sparkling with Halo White, our clinically tested active teeth whitening system. Formulated with extremely effective 12% hydrogen peroxide gel, this system gives you results to smile about in as little as 5 days (with only 12 minutes of daily wear time). And after 10 days, teeth whiten by nearly 6 shades on average! The patented instant-activation, dual-chamber device keeps the ingredients at their most potent until you’re ready to apply each dose and the guaranteed long shelf life means the system will offer peak performance whenever you’re ready to use it. To begin, attach a mix-tip to the dual barrel syringe. Make sure it is secured properly to avoid leakage during application. 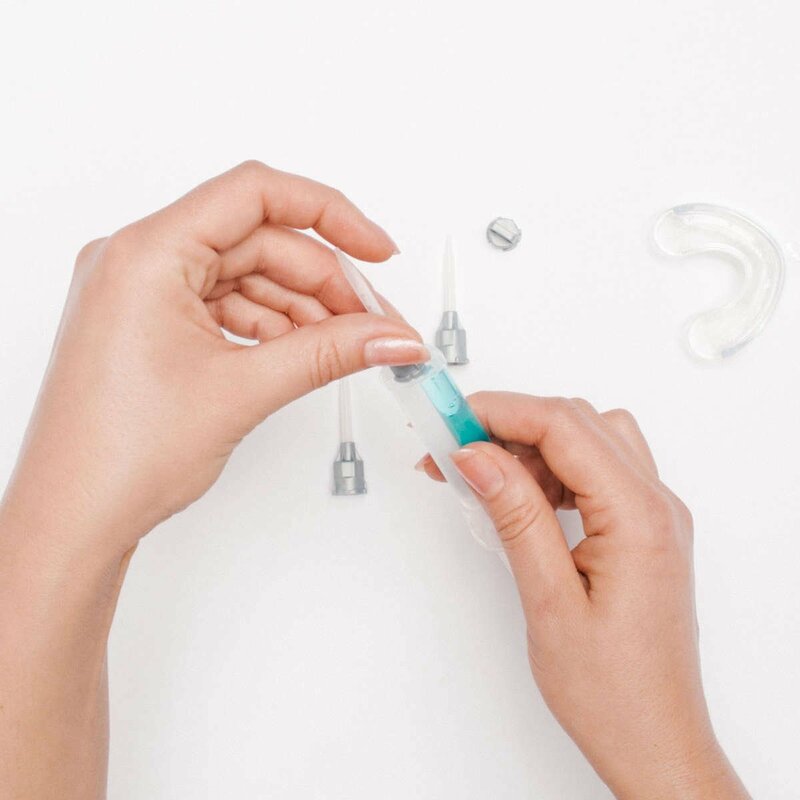 Apply 1/6 of the contents of the syringe to the inner ridge of the silicone mouthpiece. Then, flip the mouthpiece upside down to fill the other side with another 1/6 of the syringe. When used in this way, the solution will effectively reach your upper and lower teeth simultaneously. Once both sides are filled, place the mouthpiece in your mouth and bite down gently. Leave in for at least 15 minutes to complete the whitening treatment. For best results, use your Halo White Active Teeth Whitening System for 6 consecutive days, once a day. For maintenance whitening, use it every 4-6 weeks.